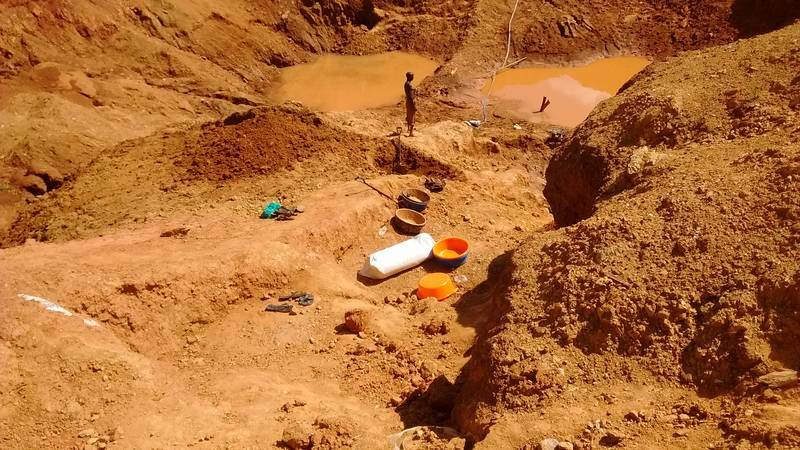 Miners are working on the open pit in Uganda. Rich gold ore have been identified and need to be reached once again. Excavating activities require better planning. This mining site was not managed by our company at the time of creation of this picture.